Case of 12 NIrV Adventure Bible for Early Readers in paperback. Our case quantity price ($16.24ea) is 35% off the list price of $24.99ea. Additional discount for 3 or more cases. 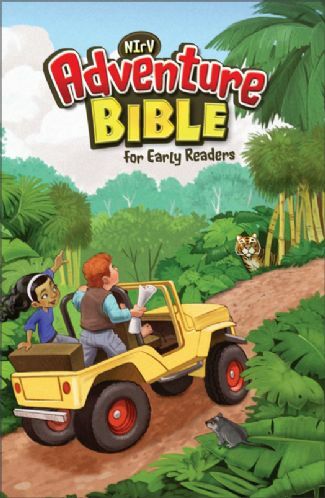 Now kids 6-10 can share in the love for God's Word with The Adventure Bible for Early Readers. Based on the best-selling Adventure Bible and written in the New International Reader's Version? (NIrV The NIV for Kids! ), this new Adventure Bible is designed especially for young readers who are ready to explore the Bible on their own. "Life in Bible Times" helps kids understand what it was like to live in Bible times. For visual appeal, each box includes a color picture. "People in Bible Times" helps readers to sort out Zechariah from Zacchaeus, Joseph from Joash. "Words to Treasure" highlights popular verses for kids to memorize. Copyright © 2019 Archer Media Group, L.L.C.